Cadan Johnson lived a seemingly ordinary life. He was on the soccer and cross country teams and had a loving family. But one thing about the Johnsons made them very unordinary- they could perform magic. When a mysterious spell on his school counselor backfires, Cadan is faced with the realization that everything he thought he knew about his family has been a lie. He leaves his home to search out the identities of his real parents, but before he can discover the truth, he is tracked down by another group of magic-wielders, this time sent by the government. The top-secret Department of Magic was set up in the 1930s when the U.S. government became aware of the existence of mages and fantastical creatures. For the last eighty years, the agency has been commissioned with searching out and detaining these magical beings, and making sure everyone else believes they are no more than myth. Now a detainee within the Department, Cadan quickly realizes the truth – that not everything in this world is quite as it seems. The Femme Fatales, a world famous all-female pop group is actually a troupe of fairies. And Tyler Knox, the teen heartthrob, is secretly an elf who has had to alter his ears before appearing in movies. Now a rookie agent, Cadan begins to train with his new team of misfit operatives, among them one boy with four arms who is afraid of the dark, another with black wings, and an elf with anger management issues. The group fights constantly, their training sessions are disasters, and to top it off, the leader of the team hates him. But when one of the leaders initiates a plan to destroy the Department, the only thing that stands in his way is Cadan and his ragtag band. With the fate of the Department at stake, will they be able to stop the rogue agent and his forces? The main character Cadan spends a good deal of the first book “feeling different”. Part of that feeling stems from the fact that he can perform magic, but there is another underlying layer behind his feelings. 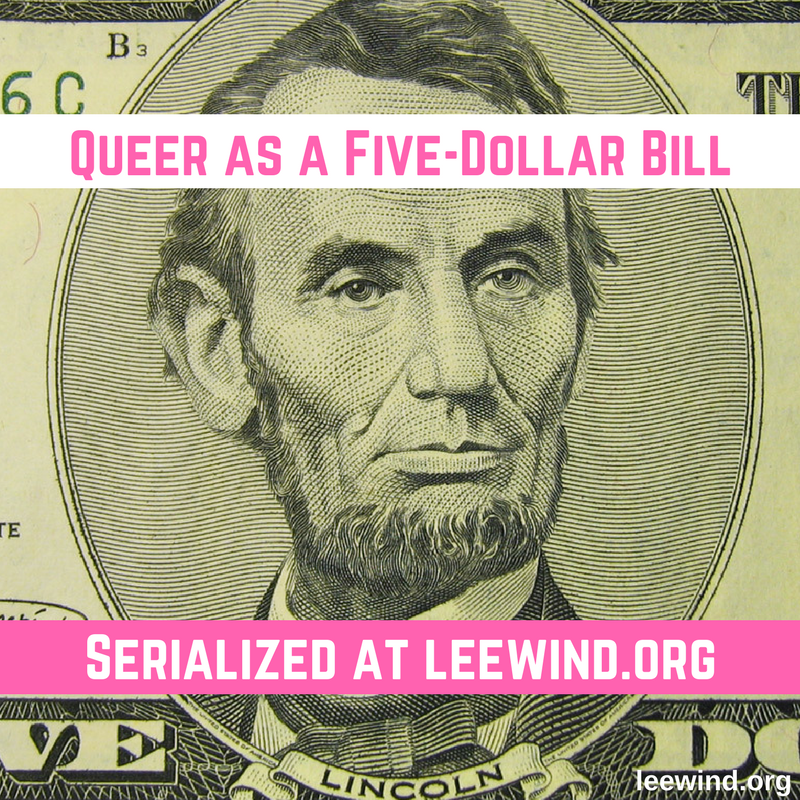 He forms a close friendship with his roommate and best friend, and I have written it in a way that a careful reader (or one who reads LGBT fiction) can pick up on something more between them. In the second book, Cadan slowly learns that he is attracted to his roommate and expresses those feelings at the end of the book. 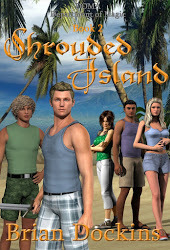 His roommate, Jude, shoots him down, claiming that he isn’t attracted to men, and in the third book Jude slowly comes to grips with the fact that he is indeed attracted to Cadan. 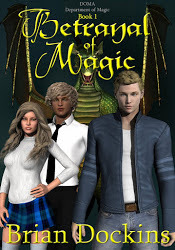 The rest of the series will feature the boys dealing with bumps in their relationship as they work to take down the Department of Magic (DOMA). 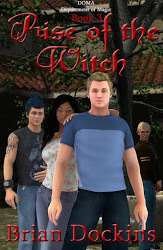 I also have several supporting characters, including the flamboyant fairy Gabe, a lesbian named Tess Lennox, and a bi-sexual heartthrob named Luca Ricci. 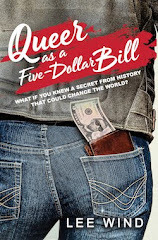 There are numerous other LGBT characters that I introduce throughout the series The seventh book introduces Donella Devine, the first transsexual character in the series. The descriptions on Amazon don’t explicitly state the queer content of the books mainly because I didn’t want to pigeonhole them as merely “gay fiction”. My hope is that any teenager (or even adult) would read the books as I feel the message of diversity and acceptance is a larger one that transcends sexual preference, gender identity, and all other forms of “differences”. The Department of Magic prepares to counter the rogue Administrator Nolan Burrell and his ever growing army of rebels. The Facilities come together to begin formulating plans to stop the spread of insurrection, but a new threat looming in the distance forces them to put those plans on hold. The Bermuda Triangle has been one of the biggest mysteries of the century, and even the magical specialists within the Department are clueless to reality that lies beyond the mists. After an entire Paladin team disappears in the Atlantic, a new larger force is assembled – one that includes Hannah Cooper, a young prodigy doctor with an extreme knack for magical healing, and Caira Ogden, a Paladin leader from New York who has just met her twin brother. Meanwhile, Cadan Ogden finds himself the head of this team. While taking on the responsibilities of leadership, he must also juggle his own secrets, a sister that he hardly knows, and a surprising, blossoming love. But how will any of that compare to what he finds in the mists of the Bermuda Triangle. Cadan had hoped that one day his life in the Department would slow down long enough that he could find more information about his parents. On a routine mission, he encounters a voodoo priestess Madame LaDonna who reveals that she knew his parents, and more importantly, she prophecies that Cadan will meet his death soon if he does not make the right choices in the coming day. Just weeks after defeating Nolan Burrell in the Bermuda Triangle, the rogue Administrator initiates a new plan, this one with more far reaching ramifications for the Department. Cadan and his allies in DOMA race to figure out what their enemy is up to. One of his teammates, Natalie Gibson, struggles with feelings towards her boyfriend Bryce, who constantly steps in her way in the name of protecting her. She knows she’s strong, but when she is constantly pushed aside, it’s hard to show just what she’s capable of. In the ranks of the rogue Administrators forces, Cody Cooke struggles to find his place among the others. After seeing the vision of a potential future where he murders one of his own allies, Cody begins to question everything he knows. Will he be able to determine the reason for the strange vision, and when the time comes to make that choice, will he have the courage? 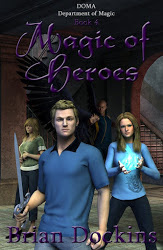 With Nolan Burrell’s forces defeated and on the run, Cadan Ogden and the Department of Magic believe they can finally rest. However, a new threat looms on the horizon. Superheroes straight from a popular comic book appear, and their super powers are not only accurate to the characters, but oddly familiar to Cadan and the Department. In the midst of the struggle to figure out the secret behind the superheroes, Cadan’s sister Caira struggles with the memory losses she has suffered over the past few months. When she discovers a lost little girl in the forest of Central Park, she is surprised to learn that the girl has the gift of ruhk-magic. Is it mere coincidence that Caira found her, or is there more to the girl’s identity that DOMA doesn’t know? Tess Lennox is the Paladin leader at the Facility commonly referred to as the Nursery. The students under her care are her top priority and when a new faculty member begins to threaten their safety and well being, Tess is determined to put a stop to it. But when Caira delivers the mysterious young girl from Central Park, Tess makes it her mission to figure out where the girl came from and the identity of her mysterious friend ‘Elf’. Darius Gibson returned to the Florida Facility, home of the seraphs, elves who have grown wings and can fly. With both black skin and black wings, he finds himself singled out in a sea of blonde haired, blue-eyed elves who spend every waking moment making his life difficult. He can’t escape the feeling that his sister Natalie needs him, but he is determined to gain the acceptance of the other seraphs. Will he return to his friends and sister when they might be in trouble, or will he fulfill his pledge as a member of the Florida team? Karan Tovar is an agent of the Department of Magic in the Himalayan Reserve, where dragons, griffins, trolls, and the other unsightly magical creatures are housed. When he uncovers an external plot to undermine their security and break into the Facility, will he be able to find the culprits in time to stop them? Back in the US, Cadan has reached an ethical breaking point in his life within the Department. Tyler Knox, the elf who has been posing as a teen heartthrob, has been keeping a secret from the Department since before Cadan first joined, and now that secret is exposed. 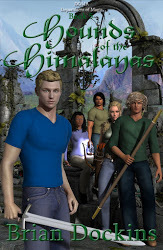 Cadan must choose whether or not to help his friend escape, or to take him into custody as his superiors have ordered. Meanwhile, the Department plans to hold a conference of all agents in Oklahoma, on a campground across the river from a hidden haunted castle. When Cadan decides to enter the dark fortress, he will learn more than he bargained for, and when Nolan Burrell decides to resume his war against the Department, the darkness that haunts its walls may be their only hope. 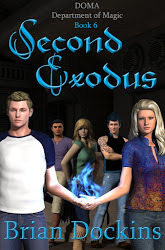 Through all of this, Cadan must make a decision that could affect him and everyone he knows and loves, changing their lives forever, to send them down a path from which they might never be able to return. Cadan Ogden has never had it worse. Wrongfully imprisoned by the Department, he lies in his uncle’s office, awaiting serious punishment that could result in his death. Those of his team that have not been detained or incapacitated are unable to see him, much less rescue him and leave the Department as they had been planning. Is there any hope of escaping his imprisonment? And what will the fate of his teammates be now that they are forced to remain in the Department? Meanwhile, unrest among the other Facilities begins to reach a boiling point. While outside forces plot to bring DOMA down, there are those who work in secret against these dark powers. Will Cadan survive his imprisonment? And if he does somehow manage to escape, will he be trading one perilous fate for another? After the death of their loved one, Cadan’s allies flounder to find their way in the midst of Josiah’s encroaching assault. Tess Lennox tracks Max Ogden and his fictitious super heroes across the country to rescue Cadan’s little brother, Tanner. She knows Max’s plans for the boy, and that his very life hangs in the balance. 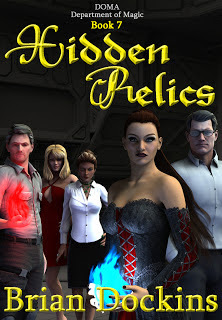 Just as Jackson Keyes discovered the location of the Torch and the Southern Order of European mages, the Relic was stolen by a rival group of magic-wielders. Suspecting Jackson as a conspirator, the Order has taken his team captive. Will he be able to convince his jailers that he isn’t responsible before it’s too late? And who is really behind the theft? Caira Ogden and her Paladins have teamed up with the enigmatic Levi Braun to track down the mages who kidnapped Raney. She has no idea whether or not she can trust him, but she knows that he holds the key to finding both Raney and the Bow of Kaberani, another of the seven Relics needed to ultimately destroy the pretend witch, Nerina. Back in the US, Natalie must hold her team together following a great tragedy. A spontaneous trip unveils more than they could have imagined, and could also provide another key to defeating the witch. Upon returning from their trip, they learn a staggering truth, one that could lead them all down a dark path, and possibly to their deaths. Will she and her team risk everything they have fought so hard for to rescue someone they all love dearly? Will this be the end of all of Cadan’s carefully laid plans? These seven books have been published by the author in his planned 12-book series. Add your reviews of the books in the Department of Magic series in comments!